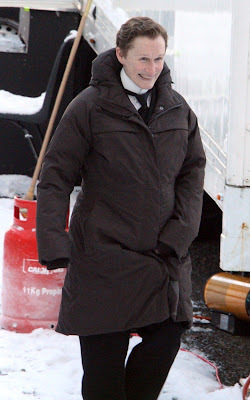 Dressed for a day of filming, Glenn Close, was discovered on the set of "Albert Nobbs" in Dublin, Ireland Monday, December 20. 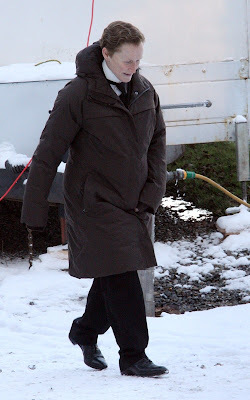 Stepping out into the snow, "Nine Lives" actor was given a second look when she was dressed up like a man for his role in the film as a butler. 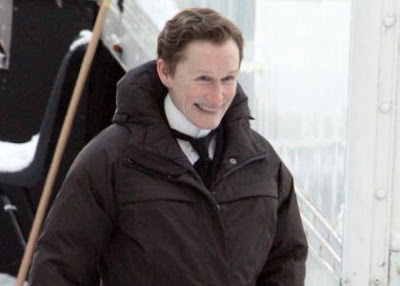 The 63 year old is a woman playing a man to join the work force in Ireland in the 1800s to the big screen adaptation of George Moore's novel, "The Singular Life of Albert Nobbs".